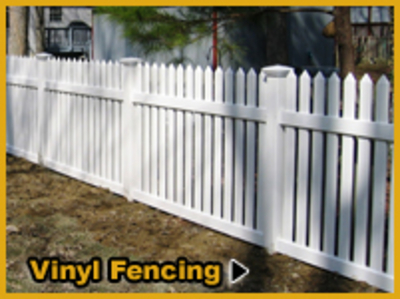 Here are three reasons why a vinyl fence is a perfect choice for you! Vinyl fences are incredibly popular fencing options, especially when contrasted with high-maintenance wood fences and inexpensive chain link fencing. If you are mulling over your material options while selecting the perfect fencing option for your residential or commercial property, here are three reasons why a vinyl fence is a perfect choice for you. The single biggest reason that a home or business owner chooses a vinyl fence is due to the lack of maintenance it requires. A quick mix of mild soap and water is enough to scrub down your vinyl fence and keep it looking brand new. Over time, vinyl fences will not fade in the sunlight or lose their color like wood fencing. You’ll never need to repaint or re-stain your vinyl fence anytime soon, or have to keep your eyes peeled for signs of rust like with wrought iron fencing. Unlike chain link fencing, you also don’t have to worry about powder coating. Finally, vinyl fences are not subject to insect infestations or wood rot like wooden fences. Vinyl fences are much more cost effective than other types of fencing, and even premium models cost much less than wood fences or iron fences. Since they also require less maintenance, as we mentioned above, you will also save a great deal on maintenance costs in the long run. You will enjoy savings from the moment of purchase to the moment you purchase another vinyl fence a few decades down the road! Vinyl fences are very easy to install and very straightforward to repair or replace. Other than securing posts into the ground outside of your home, installing a vinyl fence is as easy as placing the rails in the right spots and stepping back to appreciate your work.